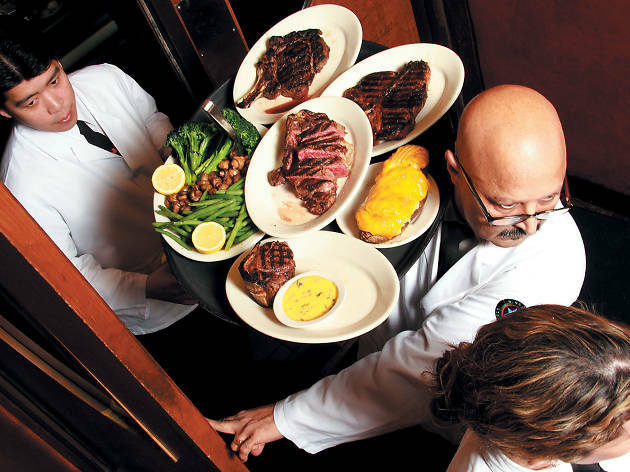 The $52 porterhouse here is impeccably seasoned and boasts warm layers of sumptuous fat running through the full-flavored meat. The only problem is that for $52, the thing is kind of small. 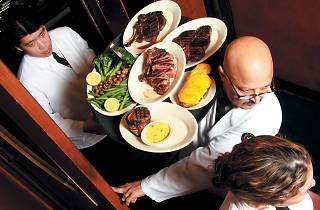 But this price-size discrepancy is rare at Gibsons: Sweet-lobster cocktail easily satiates two, the juicy prime rib comes in a hefty portion typically reserved for the Flintstones, and desserts are so enormous that servers cut them in two, wrapping half in a take-away bag, no questions asked. El stop: Red to Chicago. Bus: 36, 70, 145, 147, 151.